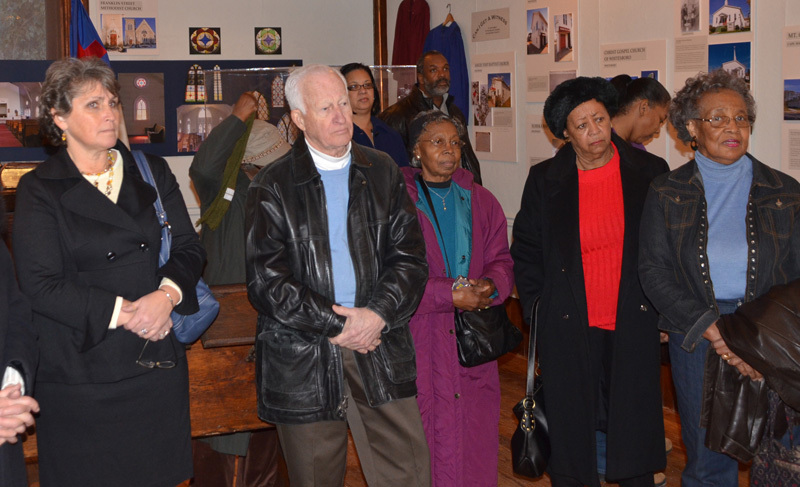 On January 17th, Martin Luther King Day,the Mid-Atlantic Center for the Arts and Humanities held an opening reception for the new exhibit “Can I Get a Witness!” at the Carriage House on the grounds of the Emlen Physick Estate. 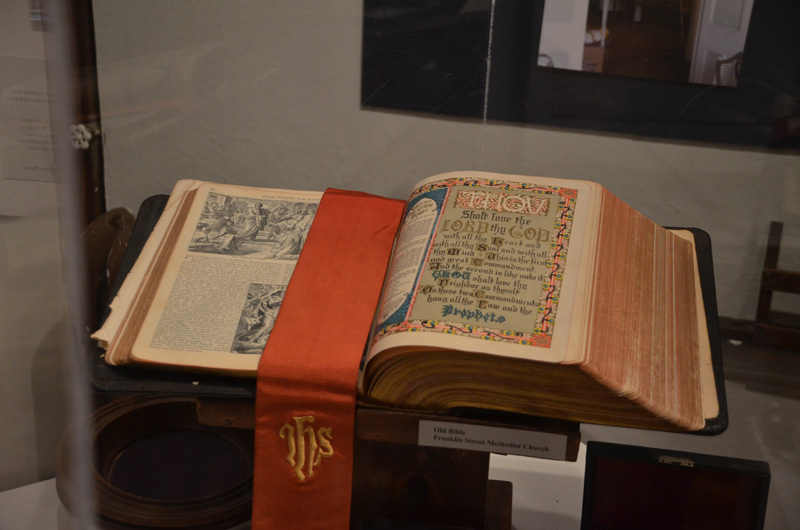 The collection of artifacts, photos and documents reveals the history of the black church in the 19th and 20th centuries. 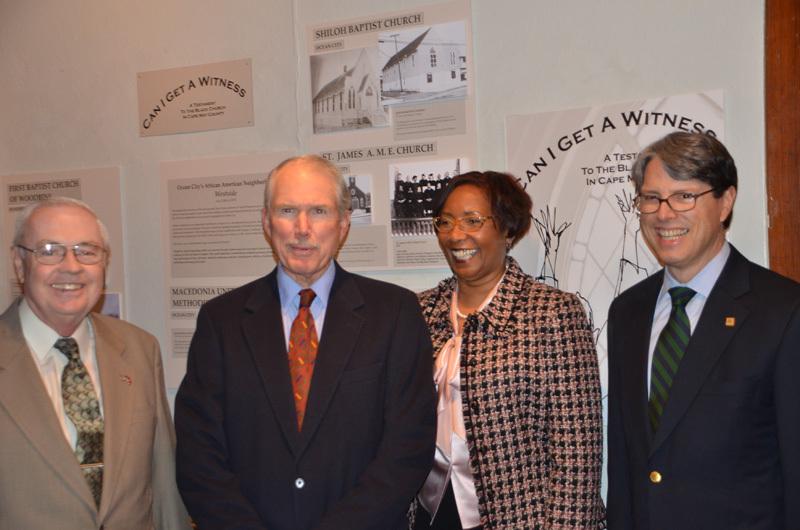 Present at the reception were Dr. Edward Mahaney, Mayor of Cape May and Pam Kaithern, mayor of west Cape May. 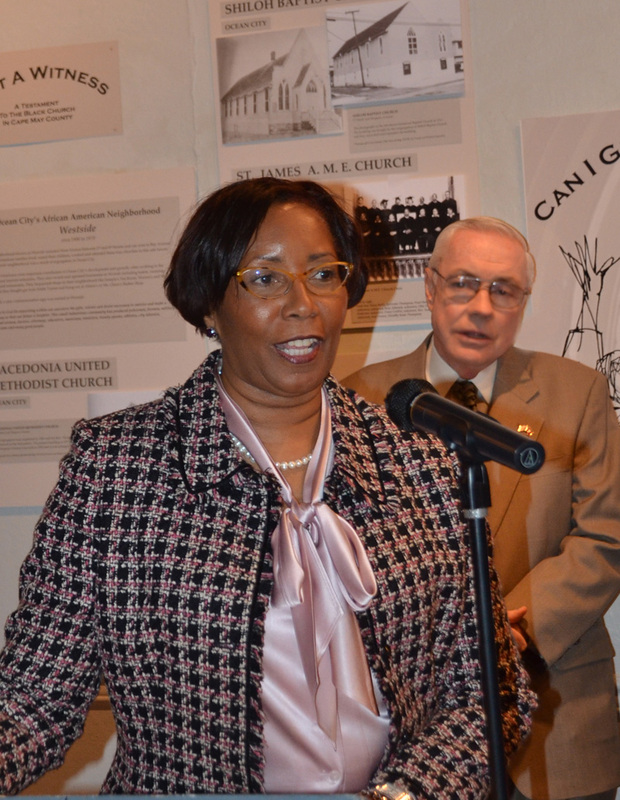 Bernadette Mathews, president of the Center for Community Arts opened the reception with remarks calling attention to the contributions by many of the congregations whose churches were represented in the exhibition. 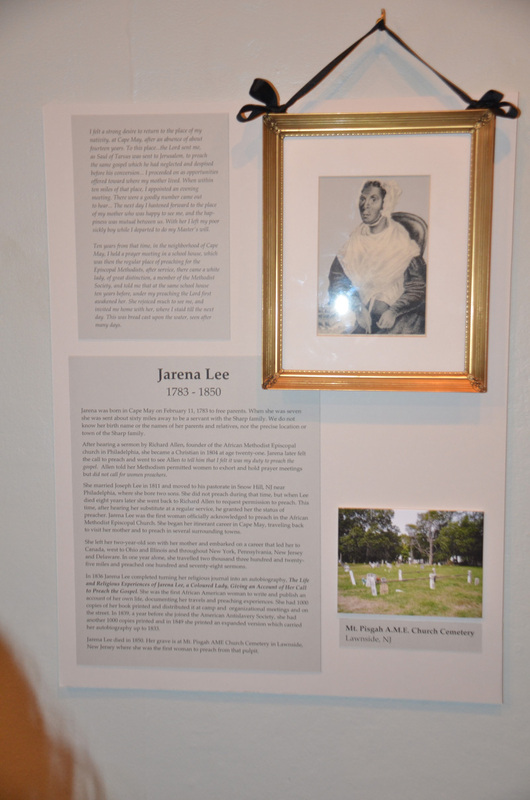 The exhibit is free and open to the public through April 17th. The exhibit then moves to West Cape May Borough Hall through August 31st.